Hillary Clinton has been under scrutiny for avoiding the media on the campaign trail, even “roping off” press during a Fourth of July parade. But perhaps there was some larger strategy to the campaign keeping the media at a distance- her first major campaign interview with CNN was a total flop. She’s referring here to her work emails, which she managed to hide from at least one FOIA request (by Gawker) when she decided to conduct all of her State Department business on a private, unsecured email server. Her statement here — that she didn’t have to turn anything over — is simply untrue, except in the sense that she literally could have broken federal records laws and deleted or withheld all of her work emails. It is doubtful that she’d want to admit she’d ever considered such a thing, but that’s one way of reading her statement here. The fact is, she had to turn over everything. Moreover, she didn’t — the Benghazi committee has already uncovered evidence that she did withhold work emails and even altered some of the ones she handed over to State after the fact. It would have been a violation of the [National Archives and Records Administration’s] rules in the Code of Federal Regulations for Clinton to use personal email exclusively, Metcalfe said. The code requires federal agencies to make and preserve records that duly document agency activity, so that they are readily available when needed — such as for FOIA requests or congressional inquiries. …” Anyone at NARA would have said you can’t use a personal email account for all of your official business,” said Metcalfe, who held his position in part during former President Bill Clinton’s administration. 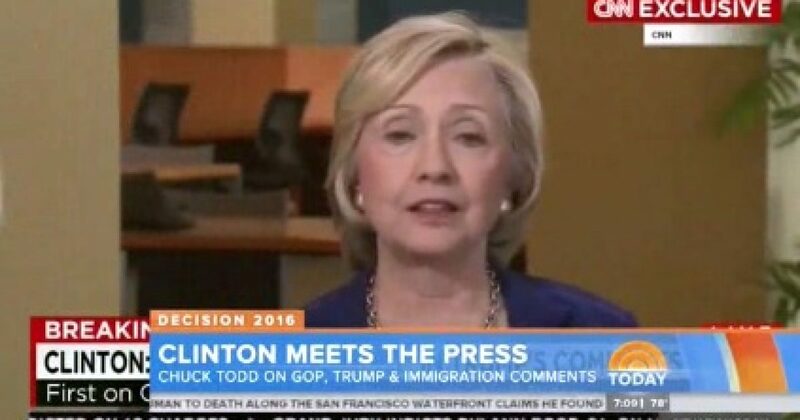 Reporters have been understandably frustrated by the lack of access to the Clinton campaign, but her dodgy and defensive CNN interview begs the question: are they really missing out on anything of substance? Previous articleCan Police Take Your Car and Money for No Reason?